"How Can I Keep From Singing?" Commissioned by OACC. Sam Pellman, composer. The Oneida Area Civic Chorale is a 100 member non-auditioned community chorus that has been performing in the Oneida area since 1967. 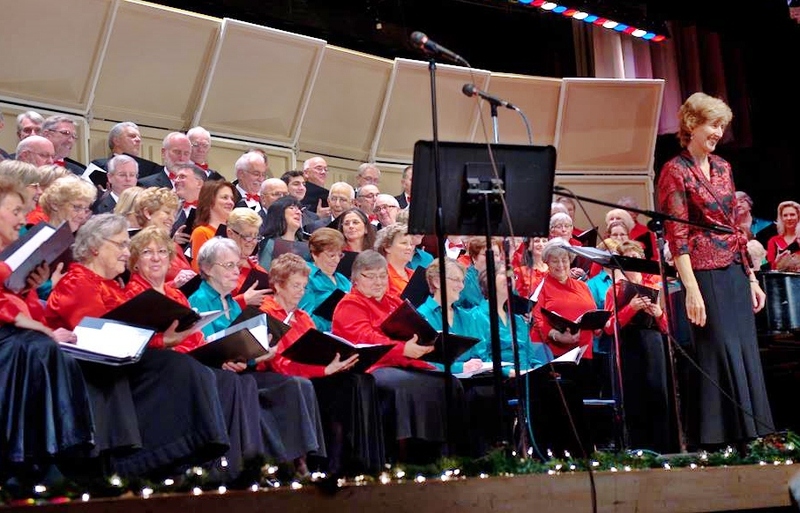 The OACC presents three major concerts each season: a holiday concert in early December, a concert in mid-March, and the season finale in mid to late May. Guest vocalists, narrators, and instrumentalists have contributed to the performances over the years. Several composers have been commissioned to write for and participate with the chorale as well. Concerts are presented in the Oneida and Rome area; venues include area high schools, churches, and the Kallet Civic Center in Oneida. 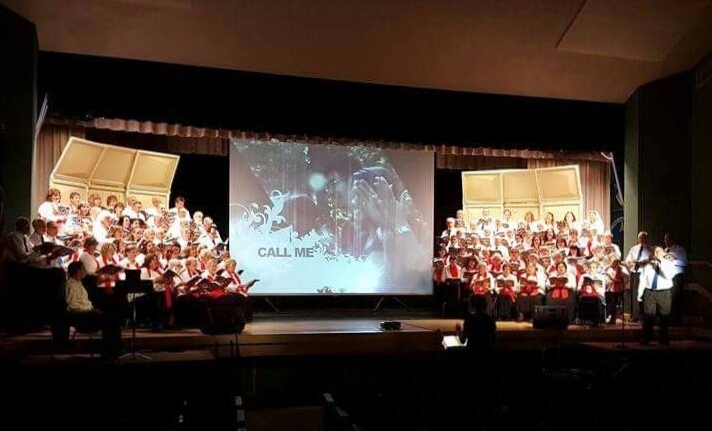 The Chorale continually strives to encourage community involvement in the choral arts by sharing the joy of singing with audiences of all ages. Our director, Mrs. Kimberly Nethaway (pictured center) is a retired vocal music educator for the Vernon-Verona-Sherrill School District in NY. Kim holds a degree from Hartwick College in Music Education and completed graduate studies from SUNY Cortland and SUNY Potsdam's Crane School of Music in Music Education. She is also past Director of Music at the First Presbyterian Church in Rome, NY. Bernadette VanValkenburg (far left) is a graduate of SUNY College of Environmental Science and Forestry, majoring in biology. She earned a Master's Degree in Science Education from SUNY Cortland. Bernadette is a retired chemistry teacher from Vernon-Verona-Sherrill High School. She has played piano for many VVS Drama Club Musical productions. Heather O'Connell (on the right) is a graduate of the Crane School of Music at SUNY Potsdam, receiving a Bachelor's Degree in Music Education with an emphasis in piano and vocal music. She earned her Master's Degree in Music Education from SUNY Fredonia. Heather is currently Vocal Music Director for the Oneida City School District in NY. She is an avid pianist, accompanying for the OHS Musicals, All- County Festivals, and various NYSSMA soloists. This team of musicians celebrated their twentieth year of collaboration with the OACC in 2015.